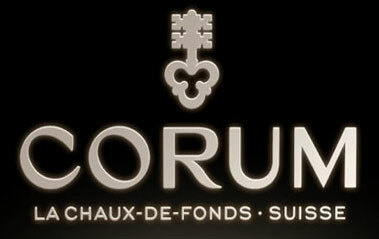 The watch company Corum has released a novelty in Admiral's Cup line. The new item is a surprising interpretation of the legendary model, the watches of which during 50 years embody the spirit of sea trips. In 2011 a series of Legend watches appeared in the Admiral's Cup line which became thinner and lugs for the strap became more rounded. The line Legend has opened the front door of the elegancy World before the famous sporty collection. And today in Legend Series the submitted novelty Admiral's Cup Legend 38 Mystery Moon came out. The watch has a magnificent mother of pearl dial, decorated with the sunrays. For the model it was used the best Indonesian pearl, beautifully shimmering under the sun rays. The sun's rays diverge from the round metal sun, in which is set the date window at the "2 o'clock" position. And on the opposite side (position of "8 o’clock") is a satin metallic indicator of lunar phases, decorated with six diamonds in tins of five-pointed stars, which are also reminiscent of lunar craters. The lunar disk is made of mother of pearl. The dodecagonal steel bezel of the case is also embellished with diamonds - the 72 diamonds weighing 0.58 carats are located on it. The Admiral's Cup Legend 38 Mystery Moon watch has a 38 mm steel case. On the screwed-in crown is engraved the brand’s corporate logo - with the help of it all watch functions are regulated. The model has a 30-meter water resistance. Inside is mounted an automatic caliber CO384, providing a 42 hour power reserve.